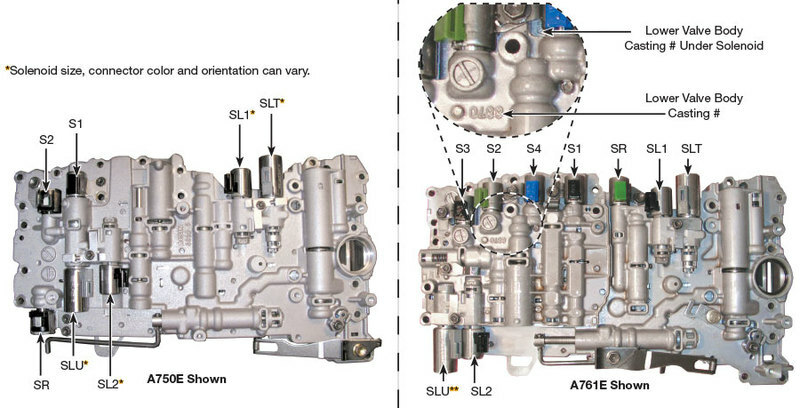 Reference ID guide to distinguish between A761E, A960E/F, A760E/F/H and AB60E/F valve bodies. All of the solenoid ID and locations are the same. The only easy way to tell these units apart is the casting numbers. Note: Proper identification of this valve body is critical! ** For a quick identification, the SLU connector is Blue on these models.